In British Columbia (as in all of Canada) the currency is the Canadian Dollar ($). The dollar is divided into 100 cents – so when you see a price of $12.55 it means Twelve dollars and fifty-five cents. The denominations of bills are 5, 10, 20, 50, 100. We now have single dollars in coin form (called locally a ‘loonie’ due to the picture of a loon on the coin) and a two-dollar coin (called a ‘toonie’). The rest of the coins are 5 cents (a nickle), 10 cents (a dime), 25 cents (a quarter). Pennies (1 cent) are no longer used. In June 2011, newly designed notes printed on a polymer substrate, as opposed to cotton fibre, were announced; the first of these polymer notes, the $100 bill, began circulation on 14 November 2011, the $50 bill began circulation on 26 March 2012, the $20 denomination began circulation on 7 November 2012, and the $5 and $10 denominations began circulation on 12 November 2013.
Credit Cards accepted in most Canadian establishments are: Visa, Mastercard & American Express. You may find a place here or there that accepts Diner’s Club but not very often. Most places that accept credit cards will accept a chip and PIN (if you have one with your card) in their card readers. If you don’t have a chip & PIN, you can still swipe your card and sign the receipt. You may be asked for additional I.D. if that’s the case. Debit Cards are accepted also in most Canadian establishments if your card is linked thru Interac, Plus or Cirrus. When in doubt, look at the ATM and it will indicate what cards are accepted. These banks can exchange foreign currency, wire transfers, sell money orders/drafts; and they all normally have ATM’s where you can withdraw funds using your debit card. 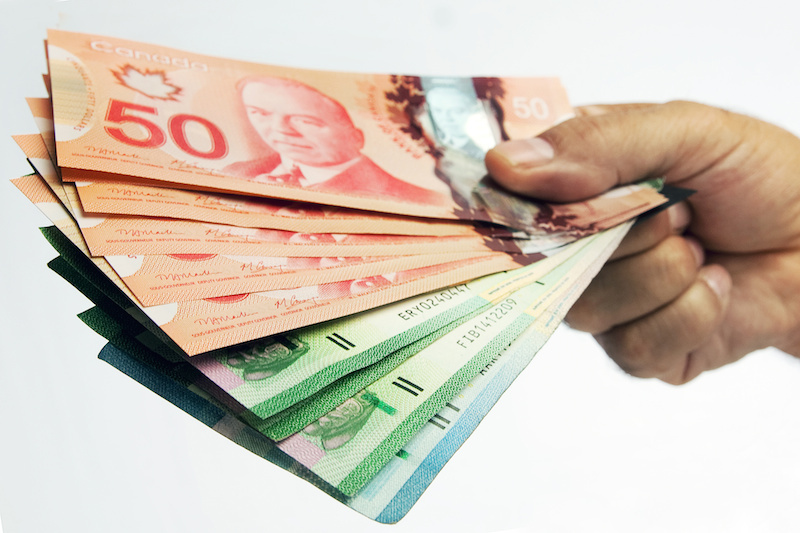 Be aware tho that they will (of course) only give you Canadian currency – the exchange will be added (or subtracted) by your bank where you’ll see it on your bank statement. Also note that many banks now only dispense $50 bills while some still give out $20’s only. There will always be a fee for using an ATM outside of your own bank. Fees will vary. In addition to banks, Victoria also has a number of credit unions. Credit unions are much like banks, the difference being you need to be a member to belong and conduct your banking with them. For a visitor however, if all you need to do is convert your currency, purchase a money order or use an ATM, a credit union will usually do the job for you. In addition to banks, there are a few places in Victoria where you can exchange your currency for Canadian dollars or visa versa. Click HERE for a listing. 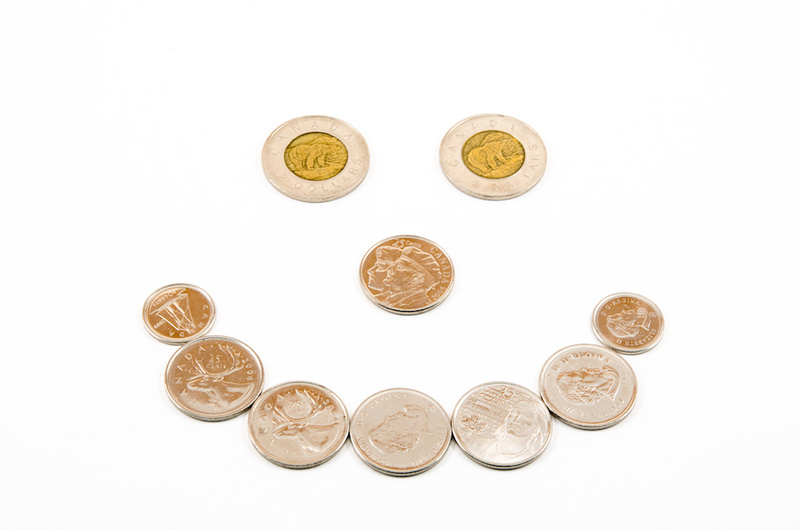 It’s always advisable to pay for your purchases with Canadian dollars as many places will not accept foreign currency. (You may be fortunate enough to be able to pay in U.S. dollars … but I know of no other currency accepted besides that. And you may not get the best rates, so it’s advisable to exchange your money at a bank or legal currency exchange establishment.) If they do not accept your currency, you can always pay with your credit or debit card.